Mealtime, on your time. 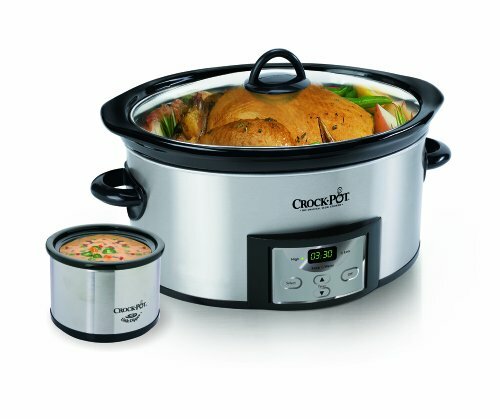 The Crock-Pot Slow Cooker with Countdown Digital Timer. 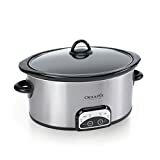 Whether your recipe calls for 30-minutes of quick heat or an all-day, while you’re away, cooking session, the Crock-Pot Slow Cooker with Countdown Digital Timer and Little Dipper Warmer has it under control. You can customize your cooking time and temperature by setting the timer anywhere between 30-minutes and 20-hours on the High, Low, or Warm settings. The digital timer counts down the remaining time so you can coordinate side dish preparation and have a complete meal ready when you are. If you’re not around when time runs out, this countdown expert will automatically shift to warm, maintaining temperature and flavor. The digital timer will count up the time that it has been operating on warm for up to 6-hours, simplifying mealtime so you don’t have to keep track. Serving your dish is a cinch. The 6-quart stoneware is removable and can go from countertop to tabletop. To keep clean up just as simple, both the oval stoneware and glass lid are dishwasher-safe. And the modern stainless steel finish looks beautiful in any kitchen. The stylish, smudge-proof finish is perfect for your modern kitchen. A 16-ounce Little Dipper Warmer is also included to keep your dips and sauces warm while serving. 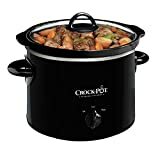 The Crock-Pot Countdown Slow Cooker was created with you and your busy schedule in mind. Enjoy dinner, on your time, at the touch of a button. 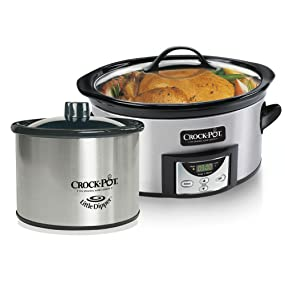 Crock-Pot The Original Slow Cooker. 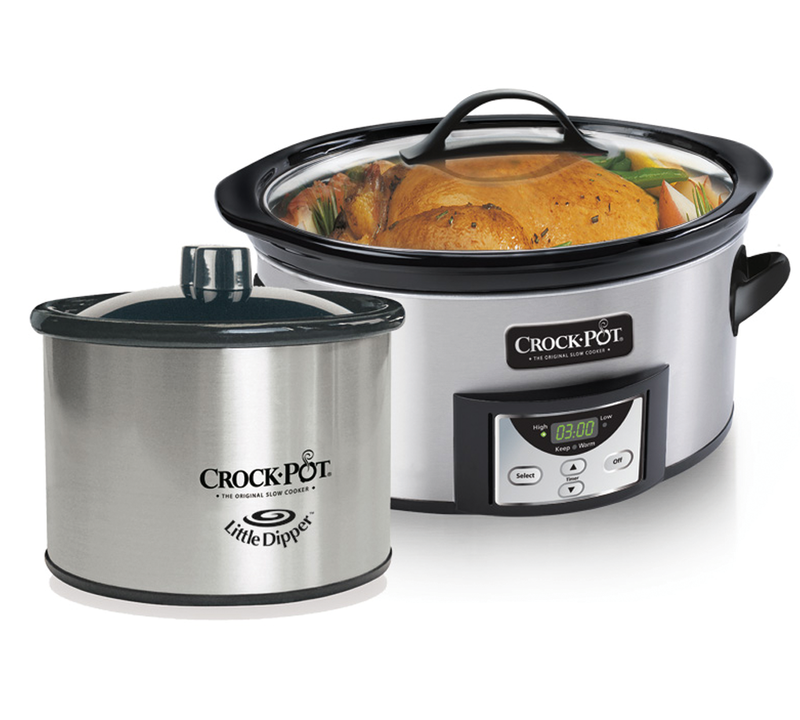 Mealtime, on your time – the Crock-Pot Slow Cooker with Countdown Digital Timer. 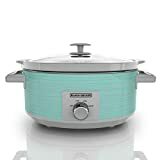 Whether your recipe calls for 30-minutes of quick heat or an all-day, while you’re away, cooking session, the Crock-Pot Slow Cooker with Countdown Digital Timer and Little Dipper Warmer has it under control. You can customize your cooking time and temperature by setting the timer anywhere between 30-minutes and 20-hours on the High, Low, or Warm settings. The digital timer counts down the remaining time so you can coordinate side dish preparation and have a complete meal ready when you are. If you’re not around when time runs out, this countdown expert will automatically shift to warm, maintaining temperature and flavor.